The internal combustion engine has several moving and rotating components inside of it. The crankshaft is the device which allows the piston heads and rods to be linked together. Whenever you look at the tachometer on the dashboard of your vehicle, it will tell you the number of revolutions per minute in which the crankshaft makes. This is another way of saying the number of rotations per minute. Whether the vehicle is moving or remaining idle, the crankshaft of the engine is constantly rotating. A moving vehicle will increase the RPM to just under 2,000 on average. If the vehicle is idle, the RPM will usually hover around 1,000. These are normal RPM readings. In order to ensure that the engine idle speed remains normal, there is a component called an idle speed control valve which manages it. Why is this important? Well, the idle speed control valve is what keeps your engine running whenever you apply the brake and come to a complete stop. If there was no idle speed control valve, then your engine would just stall every time you stop the vehicle. By having a fully functional idle speed control valve, the engine idle speed never goes below 900 RPM or above 1,100 RPM. 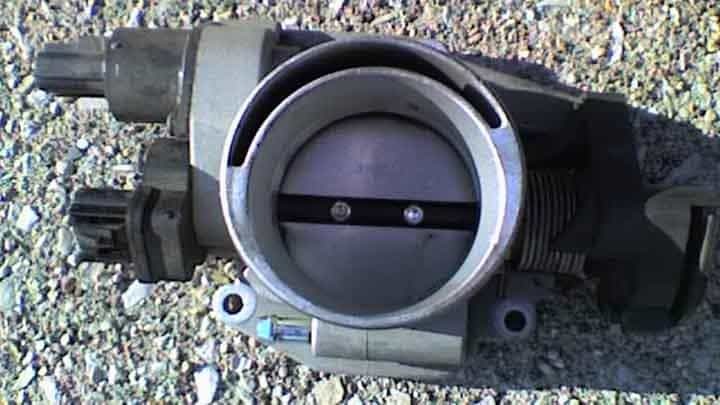 If you have an idle speed control valve which is starting to go bad, then you need to replace it as soon as possible. You cannot drive around with a bad idle speed control valve for too long because it could end up irreversibly damaging your engine. The last thing you’ll want to do is pay thousands of dollars to fix or replace your engine. So, make sure you act immediately upon noticing signs of a bad idle speed control valve. It could save you a lot of money in the long run. Below are the top 5 symptoms of a bad idle speed control valve. 1) Stalled Engine – A bad idle speed control valve will cause your engine to stall. Depending on the extent of the wear or damage to the valve, the engine will stall immediately after you start the car. Either that or it will stall after a couple of minutes. This means you could be driving away from your home and then have your engine stall. It will likely start up again, giving you time to drive your vehicle to a local auto mechanic. But you need to be quick about this because your engine might get to a point where it doesn’t start up again. Then you’ll need to call a tow truck to get your vehicle to the mechanic. 2) Idle Speed Changes – When you bring your vehicle to a complete stop, you may notice your engine idle speed changing rapidly. If it is going way below 900 RPM or way above 1,100 RPM while idle, this is a sign that you have a bad idle speed control valve. A fully functional valve would be able to properly regulate your engine idle speed. If it cannot keep it between 900 and 1,100 RPM, then you have a bad valve which needs to be replaced. 3) Difficulty Steering – During a situation where you’re stalling because of a bad idle speed control valve, you might find it difficult to turn the steering wheel. Instead of a smooth feeling, the steering wheel will pull more to either the left or right side. This usually occurs if you’re carrying a heavy load or using the air conditioner or heater and your idle speed control valve is bad too. Stalling and difficulty steering will be the two symptoms experienced under these conditions. That is why it is advised that you don’t haul anything heavy until after you get your valve replaced. 4) Rough Idling – Engine idling should be a smooth experience with little to no vibrations. But if you stop your vehicle and notice a lot of annoying vibrations, then you have a rough idling engine. There are lots of possible reasons for rough idling, but a bad idle speed control valve is certainly one of them. In this situation, your faulty idle speed control valve prevents an adequate supply of air from entering the engine. Anytime the engine doesn’t receive enough air, it will start to shake a lot. 5) Warning Light “Check Engine” – Whenever a component malfunctions in the engine, the control unit will detect the problem and then illuminate the “Check Engine” warning light in response. This warning light will indicate that something is wrong with your engine, but you won’t know for sure what the specific problem is. But if you pay attention to the other symptoms which are bound to follow, then you can pinpoint it to a bad idle speed control valve. Either way, a Check Engine warning light should always put you on alert. Visit a mechanic to verify the reason for the light. The idle speed control valve is not too expensive to replace, depending on what type of vehicle you have. The average replacement cost is between $100 and $500 in total. This includes the cost of the valve part itself, which is anywhere from $40 to over $400. The cost of the labor depends on the auto mechanic’s hourly rate. Some auto shops charge $65 per hour and others charge over $100 per hour. Of course, if you are a skilled mechanic or have a friend or family member who is a skilled mechanic, then you can cut out these labor costs altogether. Otherwise, you should shop around for the cheapest mechanic in your area.